Breast augmentation is known for having a high patient satisfaction rate and its popularity continues to grow. Nevertheless, a small percentage of patients need some type of breast augmentation revision. There are multiple reasons for having and/or needing a revision. Acellular Dermal Matrix (Also called: Strattice TM / ADM / AlloDerm) may be used for many reasons during breast augmentation revision surgery. Inferior, lateral, and medial implant malposition can be corrected by the use of an internal suturing technique referred to as capsulorraphy. Capsulorraphy is an effective method to recontour and reshape the breast implant pocket. Internal sutures or an “internal bra”, as it is also referred to, is created to position the implant in a more desirable position. The Acellular Dermal Matrix (ADM) is used for additional support during the pocket repair. Breast Implant Rippling is another issue associated with breast augmentation surgery. When a patient does not have much breast tissue or body fat, they may experience palpability of the breast implants and/or rippling of the breast implants. Although placing the breast implants under the muscle (sub-muscular) cuts down on the likelyhood of rippling, the outer edge and cleavage areas are not covered by the muscle and these are the most common places where rippling is seen. The rippling/palpability of the breast implant can be decreased by using silicone gel breast implants rather than saline filled breast implants or by ensuring that saline breast implants are overfilled and also by placement of Strattice TM (Acellular Dermal Matrix) for an additional layer of coverage. After breast augmentation, excessive scar tissue may form around the breast implant which causes the breast implants to harden (similar to what a contracted muscle feels like). The cause of capsular contracture is unknown but it is a common complication with breast augmentation surgery. Correction of capsular contracture is performed surgially and involves removing the scar tissue that is encapsulating the implant and releasing the tension around the breast implant. 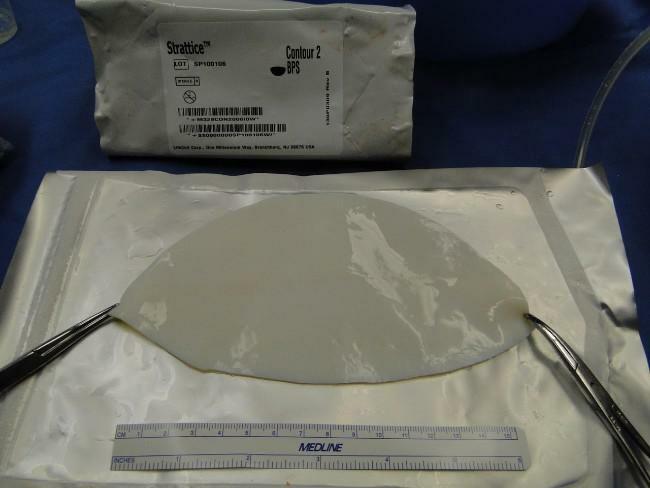 For patients who have recurrent capsular contracture, Strattice TM is used during the breast augmentation revision procedure and has been shown to reduce the chance of recurrent scar tissue formation. STRATTICE™ Reconstructive Tissue Matrix Perforated (“STRATTICE™ TM” or “the surgical mesh”) is a surgical mesh that is derived from porcine skin and is processed and preserved in a patented phosphate buffered aqueous solution containing matrix stabilizers. 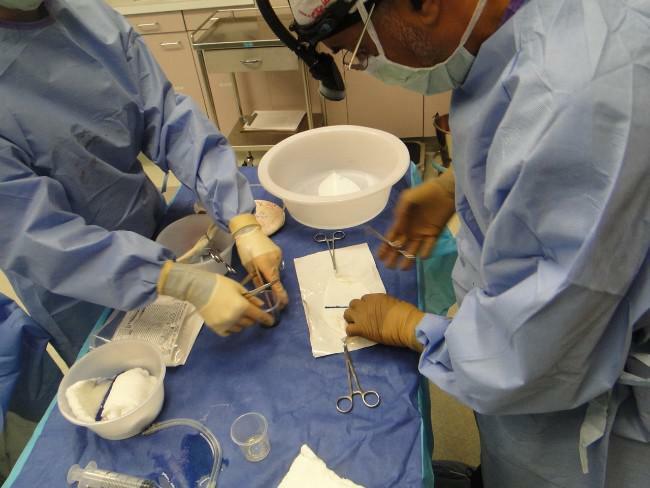 This device is designed to perform as a surgical mesh for soft tissue repair while presenting a scaffold to the patient. The structural properties minimize tissue attachment to the mesh.